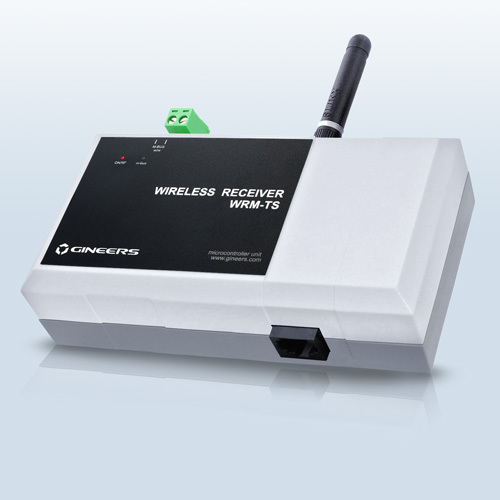 WRM-TS is a wireless m-bus receiver, intended to collect data from various devices, working in modes T or S according to wireless m-bus standard (EN13757-4). This device has simple function – collect data from every wireless meter which is told to, and convert this data to normal m-bus telegram. This telegram can be read both through PC interface and/or m-bus interface by external controller. 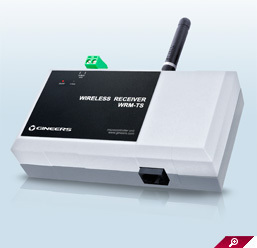 It is ideal for mixed type networks (wire and wireless m-bus) because it can read wireless devices and send needed data through standard m-bus interface. Supports Primary addressing of attached devices from 1 to 250 (defined by user), but can decrypt (if AES-128 data encryption) only addresses from 1 to 64. If one is not sure in which mode should work – we recommend using “Accept all” mode (which is default by the way). There is only one scenario in which filtering must be used – if wireless data is AES-128 encrypted. Most of WRM-TS commands are ASCII-based, so setting can be done with simple terminal for RS-232. Anyway, there is special Gineers software for quick and easy setting of this device, including searching for wireless meters in range and activating them in WRM-TS memory. All commands are detail described in WRM Command reference, which can be freely downloaded.